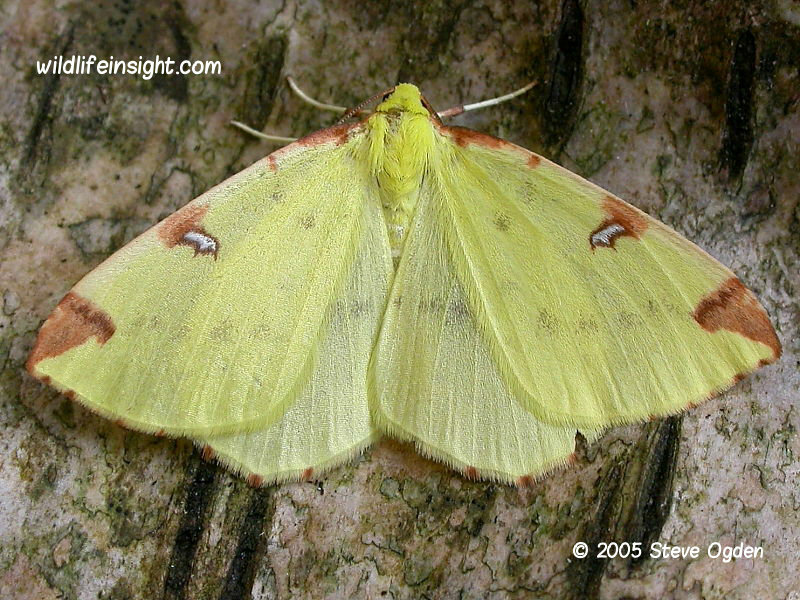 The yellow Brimstone Moth is one of the most easily identified member of the Geometridae moth family. It’s a common species throughout much of the British Isles and Europe. In warmer parts of the British Isles it has 2 or even 3 broods flying between May to September. It has a wingspan of up to 45 mm and both fore and hindwings are a lemony yellow. Although a nocturnal species, when it is commonly attracted to both MV and actinic lights, it is often disturbed during the day from low hanging branches and bushes. 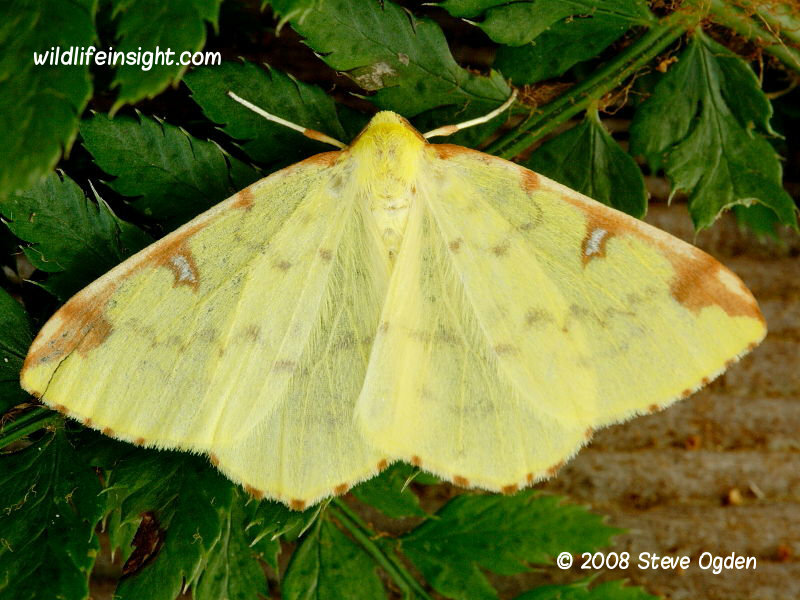 The photographs featured are either of Brimstone Moths attracted to light or ones reared from caterpillars collected from several locations in south west England. 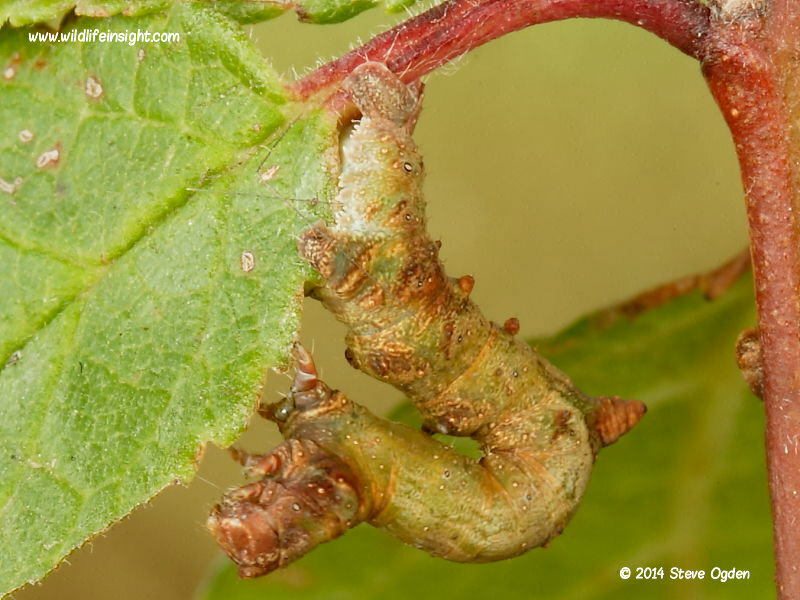 The caterpillars feed on a wide variety of deciduous trees including hawthorn and blackthorn. 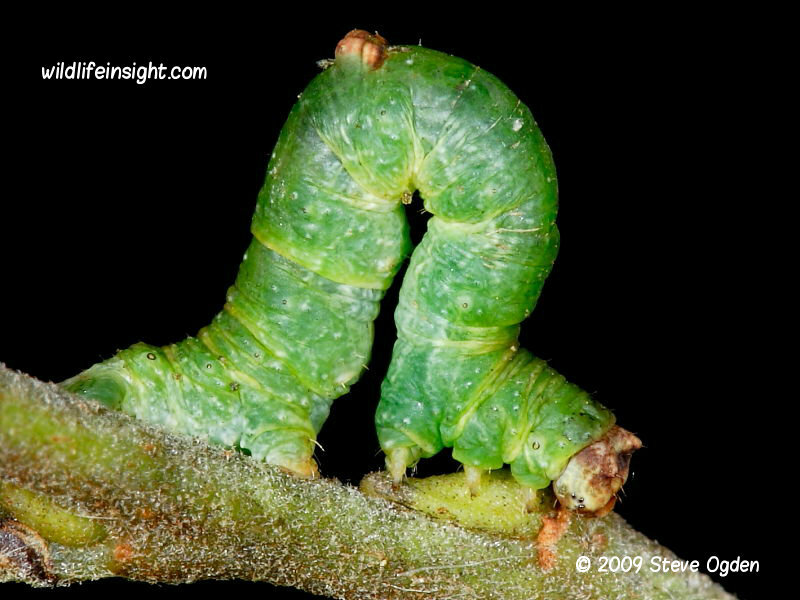 The photographs featured are of Brimstone caterpillars recorded at several locations throughout the year in south west England including several found overwintering at coastal sites in southern Cornwall. Many of the caterpillars were beaten from blackthorn bushes alongside the Cornish South West Coastal Path. Those recorded overwintering amongst lichen covered blackthorn were of the lichen coloured form. Whether these feed on lichen during the winter, when the leaves of blackthorn are not out, or enter diapause until new shoots appear, is uncertain. The green form shown was recorded in the Marsland Nature Reserve on the Devon and Cornish boundary. Jim Porter’s caterpillar guide suggests this form is either absent or very scarce in the southern half of Britain. This certainly seems to be true in the south west of Cornwall where I have yet to record a green form. 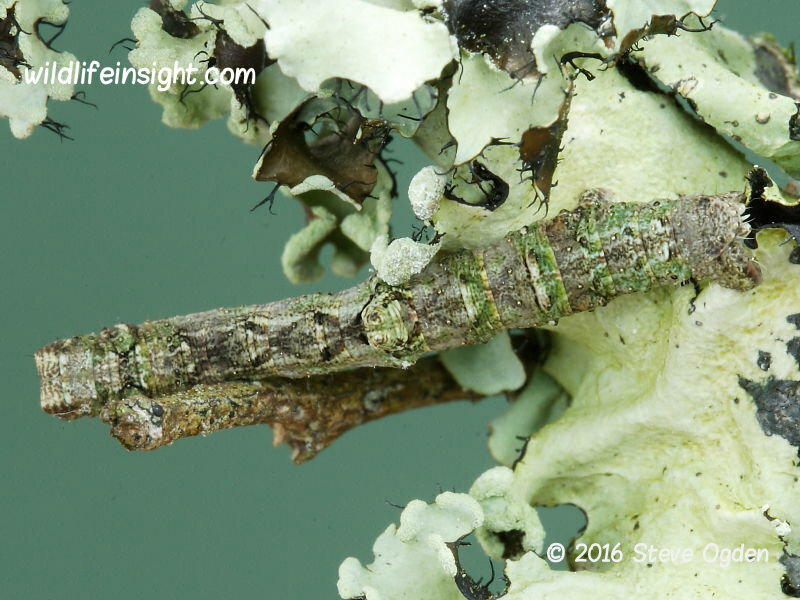 Other common Geometrid caterpillars can be seen in the galleries or individual species searched for. A useful identifying feature is the wart on the 6th segment of the dorsum. The size of which appears variable and in earlier instars two other smaller pairs feature subdorsally on lower sections. 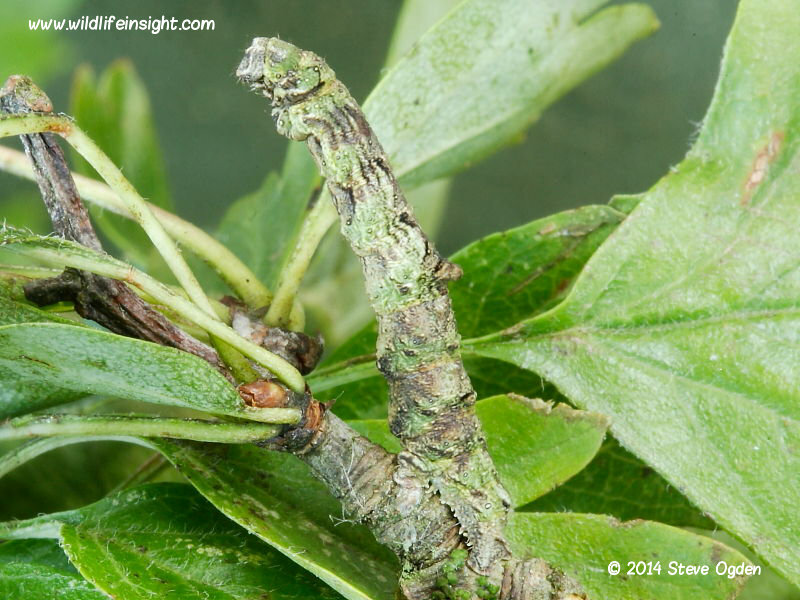 In addition to the conventional arrangement of legs associated with Geometrid caterpillars, often known as loopers, the Brimstone caterpillars also have two, additional vestigial prolegs. Other galleries are to be added including those for parts Europe, Africa, Asia and South America. Sightings and photographs received are welcome and may be added with accreditation. 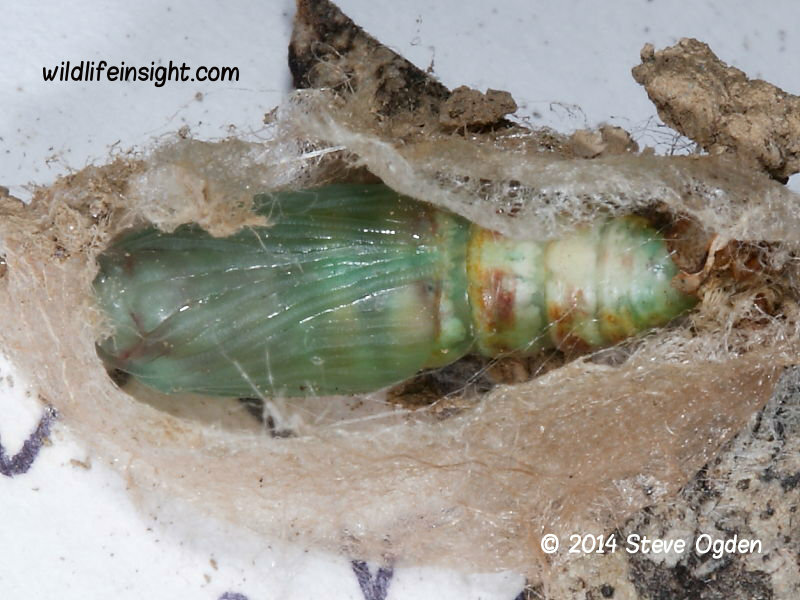 The Brimstone Moth caterpillars are very easy to rear with the pupae formed amongst leaves or plant litter. 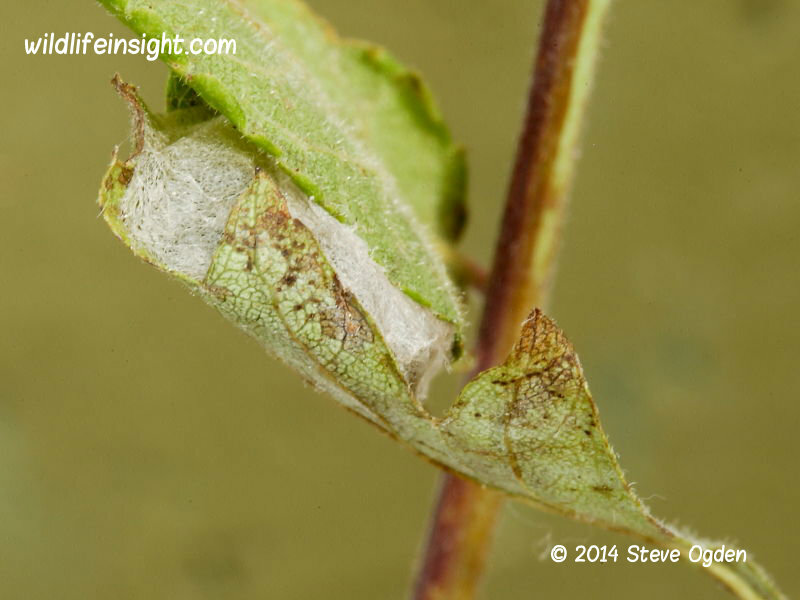 Depending on the time of year and temperature the adult moths will emerge within 2-4 weeks. 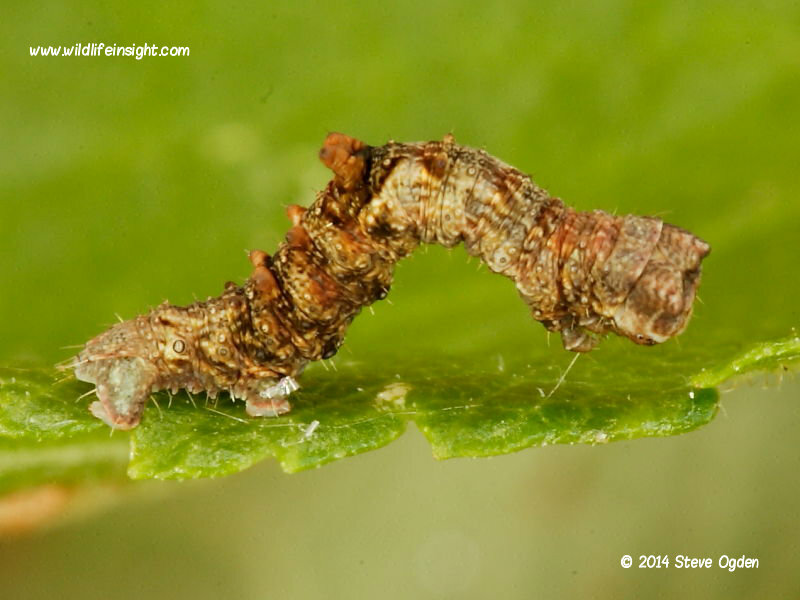 In cool conditions overwintering can take place as either a pupa or caterpillar.